Sky Q voice search has gone live. We've been expecting this new feature for a while, so we're pleased to see it finally launch. You can search for any shows, movies or sport either by name or by saying the name of an actor or director. You can even request shows by star rating. So you can ask Sky Q to take you to to Zootropolis, Billions or the Man United game or live cricket on this weekend. Sky has also hidden a bunch of Easter Eggs in the service in the form of movie quotes for people to find. Other features that have rolled out in an update include a change to the way that My Q works - it has now become the new Sky Q homepage. 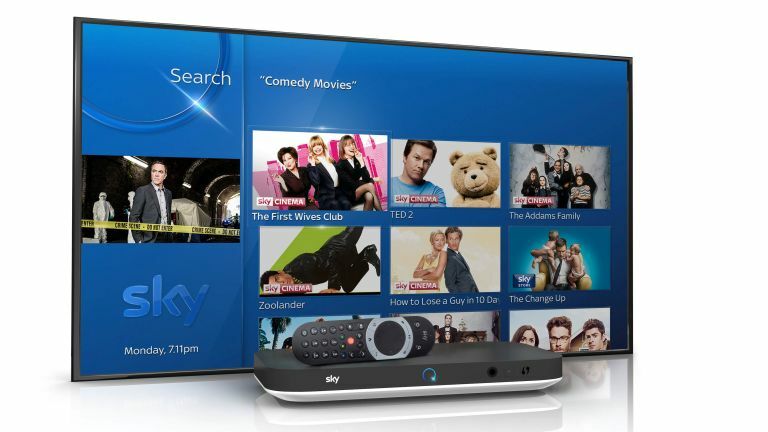 As before, it will feature recommendations based on household viewing and top new series from all channels across Sky Q. Recordings and TV Guide are now only a swipe away from the new My Q homepage while shows that you've stopped watching will now be in the Continue Watching section so you can pick up where you left off. Finally, the My Photos app now enables you to watch videos from Facebook should you really want or need to do that. As part of the launch, impressionist Terry Mynott re-enacted some of the nation’s favourite movie quotes in a 60 second sketch (below).